BROOKLYN — There’s a lot going on in Brooklyn today and some important things happened this week. U.S. Rep Hakeem Jeffries of Congressional District 8 is delivering his annual State of the District at Brooklyn Technical High School in the Clinton Hill/Ft. Greene area at 6:00 p.m. today, Thursday, January 31. Last year, No. 5 committed to keeping Starrett City (Spring Creek) affordable after the May 2018 sale of the development of which President Donald Trump had a 4 percent stake. Vanguard Independent Democratic Association (VIDA) hosts a public advocate’s debate. 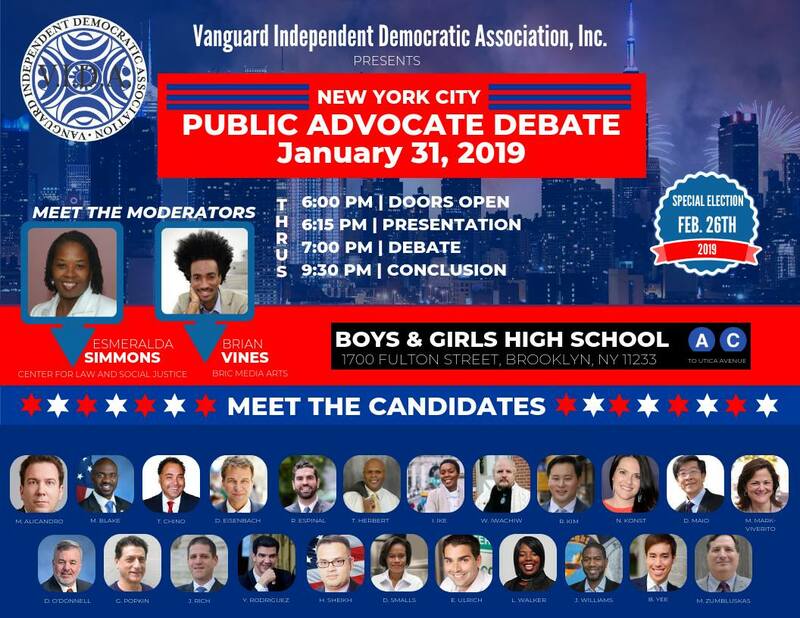 Vanguard Independent Democratic Association (VIDA) is holding a Public Advocate’s debate at Boys & Girls High School today. Doors open at 6:00 pm. The debate will begin at 7:00 p.m. VIDA reps said more than a thousand people RSVP’d. 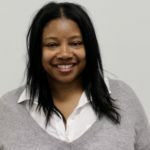 Esmeralda Simmons will moderate along with Brian Vines of BRIC Media. Confused about who’s on the ballot, read this. Soliday Space is also hosting a group forum today. 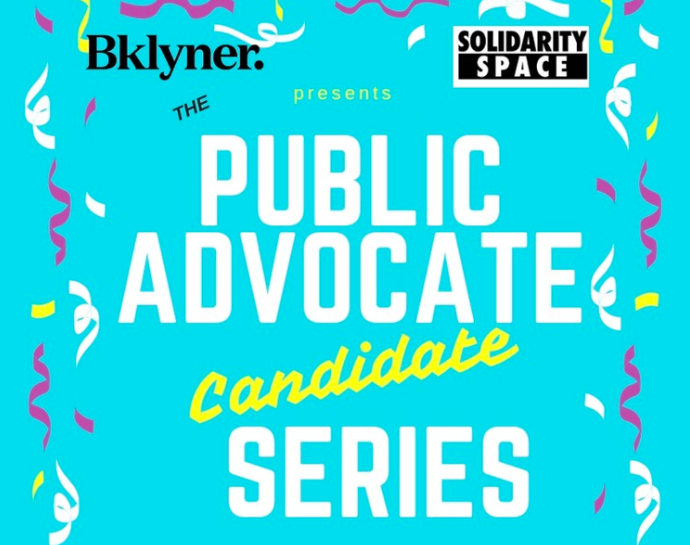 The ongoing series brings Public Advocate candidates to Southern Brooklyn. The intimate setting gives audience members a chance to ask those detailed questions. Nomiki Konst, Dawn Smalls and Benjamin Yee will field questions tonight. The event starts at 6:30 p.m with Ross Barkan hosting. Borough President Eric Adams is hosting a birthday party to celebrate famed baseball player Jackie Robinson’s 100th Birthday. The Ebbets Field icon is getting a posthumous key to the borough at 10:00 a.m at Borough Hall, in Downtown Brooklyn. Julia Salzar made good on her word when she introduced her first housing bill Wednesday. The “good cause” legislation would prevent tenants in market-rate apartments from being evicted should their rent increase a certain amount. The Real Deal has the story here. Albany Dems are expected to introduce a ton of housing reform bills. U.S. Congresswoman Yvette Clarke was also in the news this week but not for desirable reasons. In an opinion piece, The Post recommended Speaker Nancy Pelosi forgo any thoughts of appointing the lawmaker back onto the Ethics Committee because Clarke thwarted questions about $120,000 of her congressional funding that vanished in 2016. Former Brooklyn District Attorney Charles Hynes died. He was 83. Mixed feelings on Twitter but current Brooklyn DA Eric Gonzales issued a statement via social. Assemblymember Rodneyse Bichotte will also hold her State of the District tonight. The event will take place between 6:00 p.m and 8:00 p.m. inside the Student Center at Brooklyn College.